WinZip Courier 6 makes it fast and safe to send files by email. 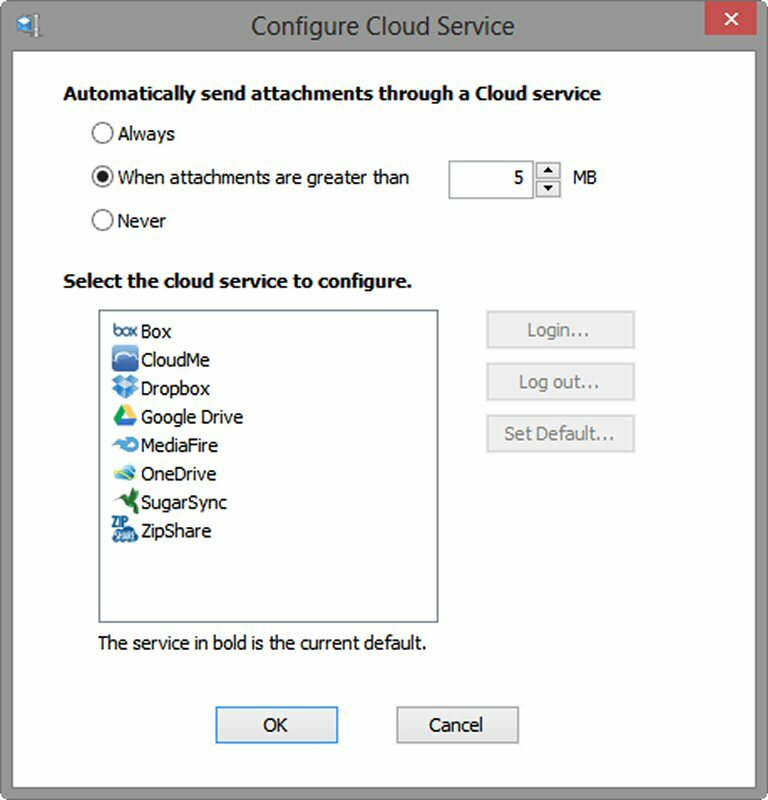 Support for 8 cloud storage services, now including ZipShare® and MediaFire. 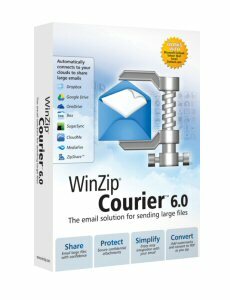 WinZip Courier 6 is available for the suggested retail price of $24.95 (US, CAD, AUD) / £17.99 / EUR20.45. WinZip offers affordable and flexible volume licensing discounts and maintenance options for organizations of all sizes - from small businesses to large enterprise accounts. 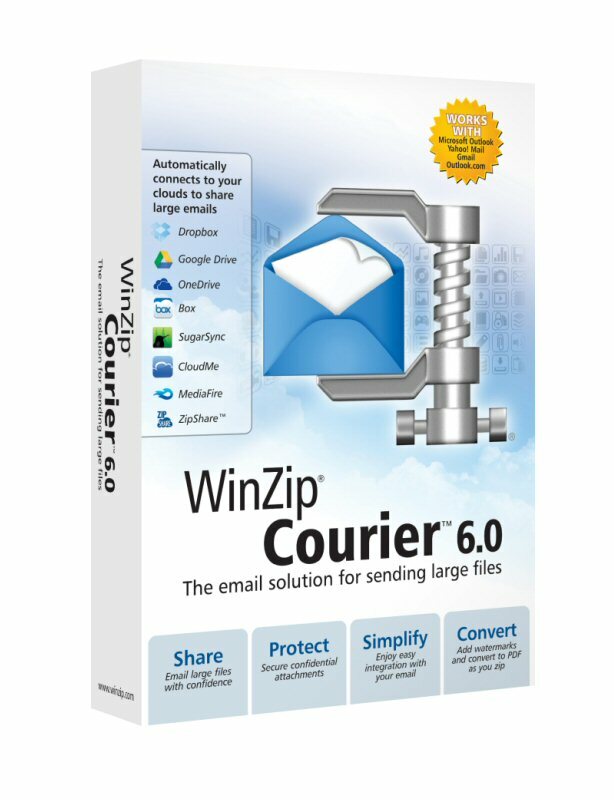 WinZip Courier 6 works with your email and connected cloud storage accounts to break through email size limits and easily zip and encrypt attachments for safe delivery. 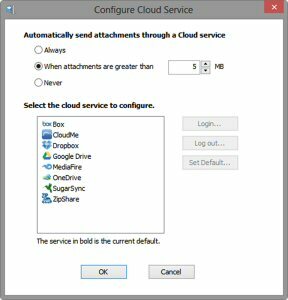 WinZip Courier 6 offers new integration with MediaFire and ZipShare, along with Box, OneDrive, Dropbox, Google Drive, SugarSync and CloudMe.